Whether you believe in ghosts or not, tales of the supernatural have been a source of entertainment, moral instruction, and harmless (and not-so-harmless) frights for nearly as long as the human race has been around. There are similar creepy stories from places like Japan, but the United States of America has no shortage of eerie tales of the undead lurking around its darker, dustier corners. Below you will find tales that have inspired fear across the land of the free and the home of the not-so-brave. Maybe read this one with the lights on. Probably the most famous ghost in American history is the Bell Witch, a poltergeist who basically trolled the heck out of the Bell family of Adams, Tennessee, from 1817 to 1821. 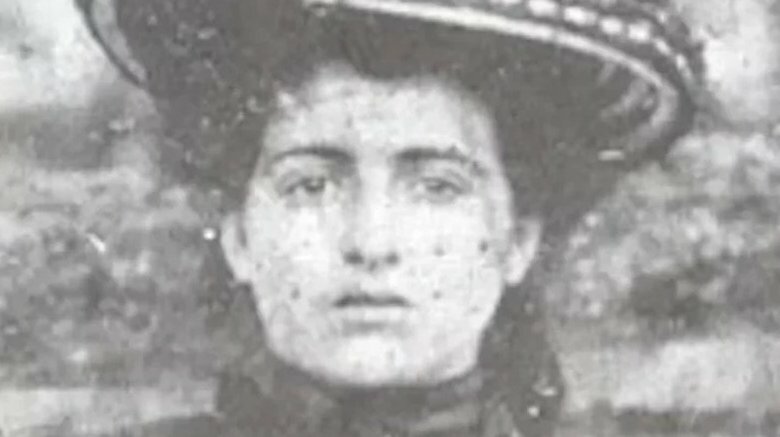 A spirit claiming to be "Old Kate Batts's witch" drove John Bell, Sr. and his kids to the brink of insanity with typical poltergeist behavior, like constant knocking and scratching sounds and physical assaults like hair-pulling, pinching, and sticking the various Bells with pins. Less usual, however, is that all this phenomena began when John saw a weird animal that looked like a black dog with a rabbit's head out in his field. That is fairly weird, even by poltergeist standards. While Kate liked to harass the Bells' youngest daughter Betsy (especially disapproving of the boy she chose to marry) and father John (who received an almost endless stream of death threats from the witch), she showed a lot of affection for Bell's wife, Lucy, giving her fruit and singing her hymns. Look, let's not say Lucy definitely had a book called "So You Hate Your Family and Want to Summon a Ghost or Witch or Both" under her bed, but the signs are all there. 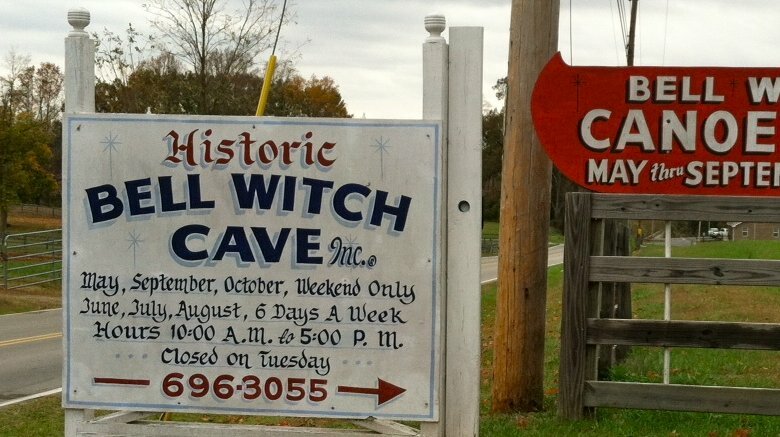 If you're the kind of person who wants to climb underground and possibly be harassed by a ghost, great news: the Bell Witch Cave, where Kate's ghost is said to reside since leaving the Bells behind in 1821, is a popular tourist spot. Chicago is a town so full of ghosts that this isn't the last time it'll appear in this article. 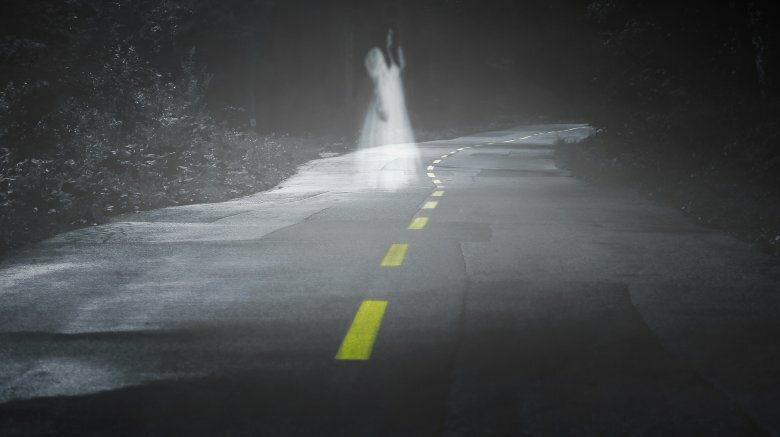 But perhaps its best known ghost legend is that of Resurrection Mary, who's also likely the most famous example of the "vanishing hitchhiker" type of ghost. According to dozens of witnesses since the 1930s, here's how things basically go: a dude drives down Archer Avenue and sees a girl in a party dress walking down the road. Like a total creeper, the dude is like, "Please get in my car, strange girl." The girl agrees but sits very quietly in the car until then asks to be let out at Resurrection Cemetery (hence the name), and in a secret reverse double creep move, completely disappears because, surprise, she was a ghost all along. The generally accepted version of the story is that Mary was a girl walking home from the Oh Henry Ballroom after her boyfriend was a jerk to her and then while on Archer Avenue, she was hit by a completely different jerk who subsequently drove away and left the poor girl to die and be a ghost forever. There have been a number of attempts to identify Mary with one of the thousands of residents of Resurrection Cemetery, but forget it, Jake. It's Ghost Town. The good news is that not every ghost wants to scratch up your body or spook you out in your car and make you think twice about helping a stranger. At least one ghost has been known to actually save lives and has done so since 1822. That guy is the Faceless Gray Man of Pawleys Island, a coastal city of South Carolina. The Gray Man is typically described as having no face (obviously) and sometimes no legs, and dressing like a gray pirate. Basically his deal is that he shows up when a hurricane or other severe storm is about to hit, and if you see him, you will be protected from the storm. There's some debate about the identity of the Gray Man. Some people say he's Percival Pawley, the island's namesake, and some people say he's Blackbeard, because, sure, that dude would obviously spend his afterlife helping people and not hunting ghost gold. IDIOTS. 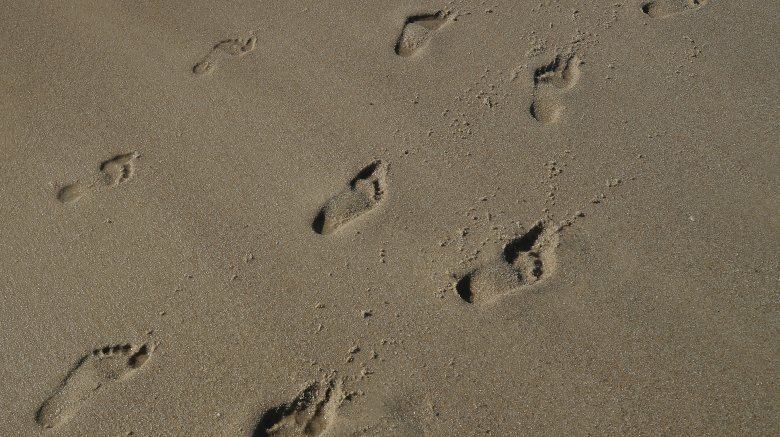 Anyway, the story is that he was a guy traveling from Charleston to see a young lady when he and his horse got sucked down in the mud of South Carolina's gross marshes. Since then, he's roamed the coastline, looking for his love and also apparently doing some meteorology on the side. The Gray Man came to national attention in 1989 after appearing on Unsolved Mysteries when a couple claimed that the Gray Man saved their house from Hurricane Hugo after they waved at him on the beach. While the name "Cottage City Poltergeist" might not ring any bells, you might be familiar with the book it inspired and its movie adaptation: William Peter Blatty's The Exorcist. Blatty's novel tells the story of a young girl possessed by a demon who makes her spit up pea soup and do some cusses on her mom and some priests, but the real-life case from 1949 actually centered around a 13-year-old boy from Cottage City, Maryland, who was known by the pseudonym "Roland Doe." If you've seen the movie, you probably have an idea of the phenomena Roland's family experienced: Roland plays with a Ouija board and soon there's shaking beds, weird noises, sheets pulled off the mattress, writing appearing on the boy's skin, and so on. He probably didn't pee on an astronaut, though. Pretty sure that's just the movie. The boy was ultimately moved to a hospital in Saint Louis, where a number of Jesuit priests performed an exorcism, during which more strange stuff happened. The boy seemed cured afterward, so the priests felt confident in their diagnosis of demonic possession and the Doe family converted to Catholicism, so score one for the church. In a case of petty, weird person hair-splitting, however, there are a number of experts in fake things, including J. B. Rhine, the founder of Duke University's parapsychology laboratory, who feel strongly that the Roland Doe case was a clear example of a poltergeist, not a demon. Sorry, Captain Howdy. The majority of ghosts on this list are famous as just that: ghosts. But in this case, we've got an apparition who's actually more famous for his accomplishments in life: Abraham Lincoln. Maybe you've heard of him? President? He's on money? No? Okay, just keep reading anyway. 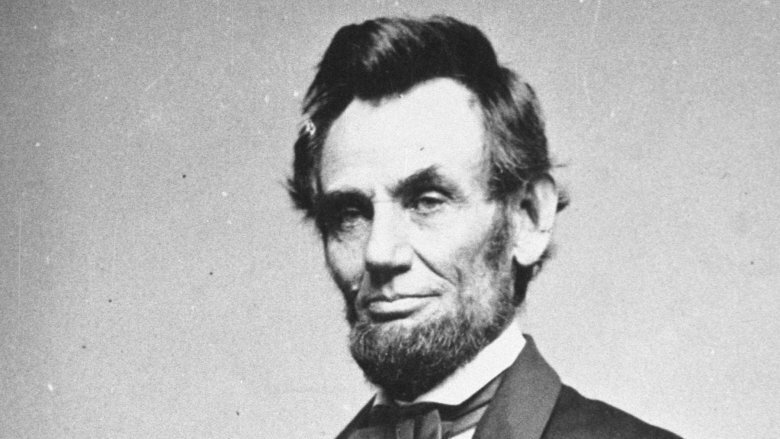 Since Lincoln's death in 1865 at the hands of assassin John Wilkes Booth (which, according to his friend and biographer Ward Hill Lamon, he was warned of by a number of premonitory dreams), his ghost has popped up in a number of different locations, including his grave and Ford's Theatre among others. But he's most commonly spotted in the White House, including, naturally, the Lincoln Bedroom. Numerous heads of state have been shocked by the ghost of Lincoln in the last 150 years, including Queen Wilhelmina of the Netherlands — who fainted after opening the door to find Honest Abe standing there — and Eleanor Roosevelt, whose dog used to bark at the ghostly Emancipator. But maybe the best story is that of Winston Churchill, who once stepped out of the bathtub and walked into the bedroom to reportedly see Abe standing by the fireplace. Completely naked and ashing his cigar, Churchill quipped, "Good evening, Mister President. You seem to have me at a disadvantage," after which Ghost Lincoln reportedly vanished to the ethereal plane, presumably to see if Ghost John Wilkes Booth could blast that image out of his brain. 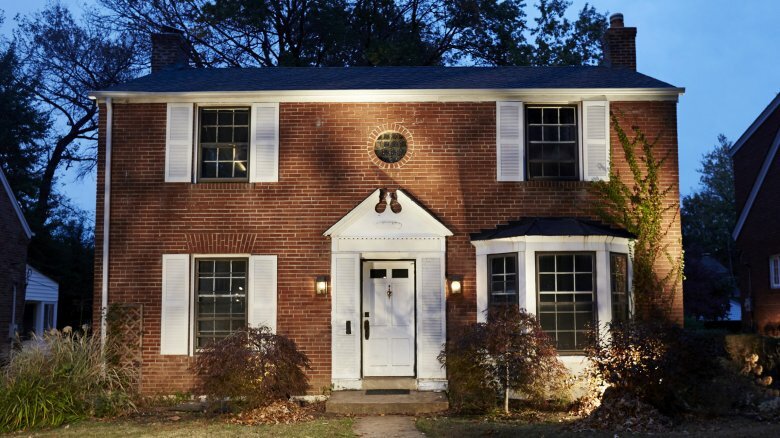 Thanks to the 1977 book The Amityville Horror by Jay Anson and the subsequent film adaptation, you're probably familiar with the experiences of the Lutz family in their house in suburban Long Island, New York. 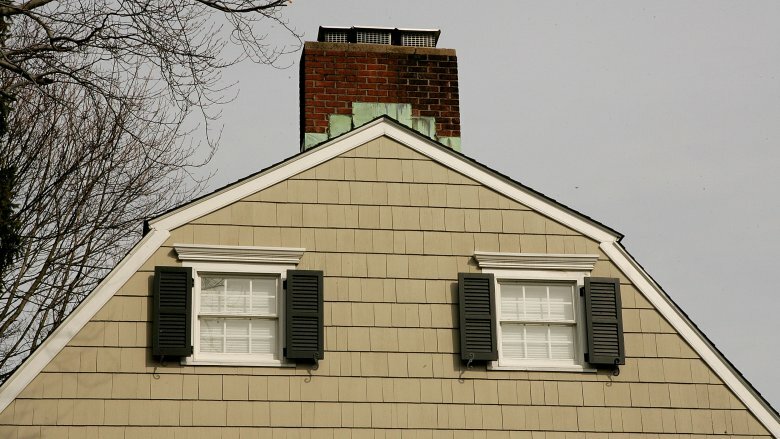 If not, here's the short version: The Lutzes moved into their home in Amityville after the house had remained empty for over a year following the murder of six members of the DeFeo family by Ronald DeFeo, Jr. Soon, weird stuff was happening, like voices yelling at priests, flies swarming in the house even in winter, cold spots and unpleasant smells, vivid nightmares, a rotating crucifix, physical attacks on the family, and appearances by a freaky pig monster named Jodie, among many other experiences that led to the Lutzes abandoning the house and leaving their possessions behind. If that stuff wigs you out and you think you might start having pig nightmares now, don't worry: it's pretty much all fake. Further evidence of skullduggery is the involvement of Ed and Lorraine Warren, the charlatans whose con artistry is the inspiration behind such popular but still totally fake films as The Conjuring and Annabelle. 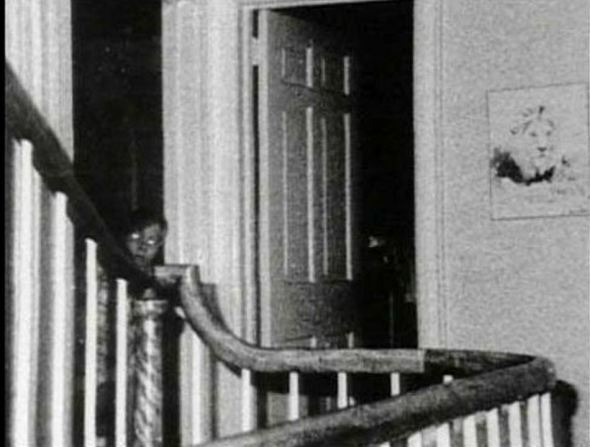 The Warrens investigated the house in 1976 and took a series of infrared photographs, including the super-famous (yet fabricated) photo of a "demonic boy" in a doorway. But all this chicanery has not stopped the Amityville haunting from making an impression on the American psyche, as evidenced by the classic status of the 1979 film and its one dozen sequels and remakes. In the days before Prohibition, the William J. Lemp Brewing Co. was the beer king of Saint Louis thanks to their Falstaff brand of beer, and innovations such as using refrigeration to store and ship their cold ones nationwide. But today, the Lemp family is better known for pretty much all killing themselves and filling their house up with ghosts. 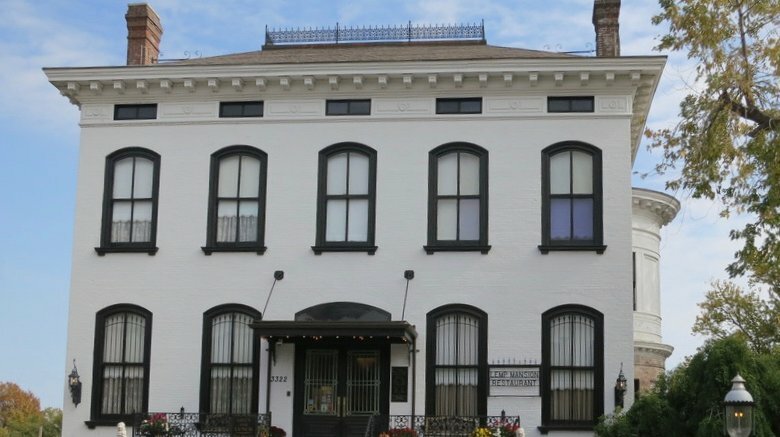 Four members of the Lemp family — father William J. Lemp, Sr., son Billy Lemp, Jr., daughter Elsa, and another son Charles — shot themselves (and in one case, a dog as well) between the years of 1904 and 1949 and now their ghosts are thought to haunt the halls of their family home. Technically, Elsa didn't shoot herself on the premises of the Lemp Mansion, but presumably she ghost-commutes there from home. If those four suicides weren't enough, there's also the ghosts of family members who died of natural causes, and even the ghost of a person who probably didn't actually exist. This is "Zeke, the monkey faced boy," whose name sounds charming until you realize he's called that because he's supposed to be William Sr.'s illegitimate son with Down syndrome who died in captivity hidden away in the attic and then you get sad and ashamed you called him a monkey. Anyway, the mansion is an inn and restaurant these days and it hosts numerous ghost tours, capitalizing on its reputation as one of the most haunted houses in America. The Greenbrier Ghost is the only ghost in America on record whose testimony was successfully used to convict her own murderer. This sounds like the plot to an episode of The Ghost Whisperer, but it actually happened. Fortunately, Zona's mother Mary Jane (pictured above) didn't trust Shue for a second, partly because he was a total creeper weirdo — but mostly because, for four nights, her daughter's ghost allegedly appeared to her and explained that Shue had broken her neck. To prove it, Zona turned her head completely around until her ghost face was backwards. Naturally, Mary Jane demanded an autopsy, and, surprise, it turned out Zona's neck was broken. During Shue's subsequent trial, the prosecutor tried to keep Mary Jane's ghostly visitor secret, but the defense asked about the ghost extensively in an attempt to undermine Mary Jane's credibility. This strategy backfired, because if anyone in history has ever believed in ghosts, it is definitely West Virginia hill people from the 1800s. Shue went to jail, Zona's ghost was never seen again, and the state erected a historical marker about the Greenbrier Ghost as a sort of "sorry you got murdered" gift. Two things you need to know about Charles B. Rosna: 1) he was definitely, 100% a hoax, and 2) this didn't stop him from being the inspiration for an entire religious movement. 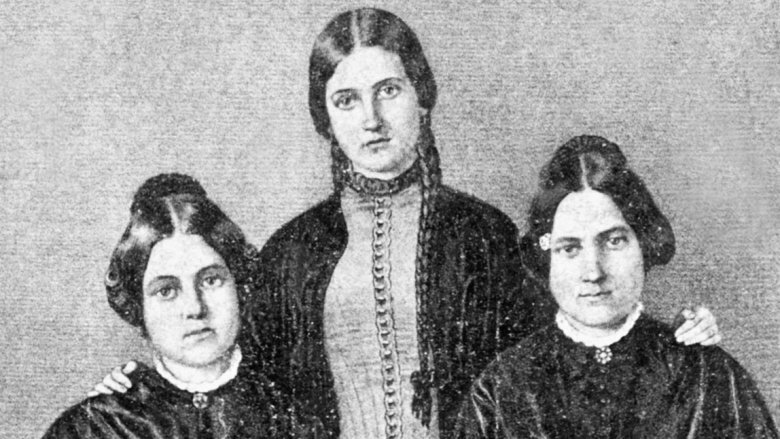 In 1848, Kate and Margaret Fox, ages 12 and 15 respectively, managed to leverage their ability to make their toes pop on command into international celebrity. They did this by claiming that the popping sound was actually a supernatural "rapping" that they first attributed to the devil, whom they called "Mister Splitfoot." Presumably after some focus testing in which the devil performed poorly, they changed their story, now saying their correspondent was one Charles B. Rosna, a traveling peddler who had been murdered and buried in their basement. Developing a system of communication with the late Mr. Rosna via knocking, the Fox sisters became the most famous supernatural rapping act in American history, outstripping even such claimants to the title as Blaze Ya Dead Homie. 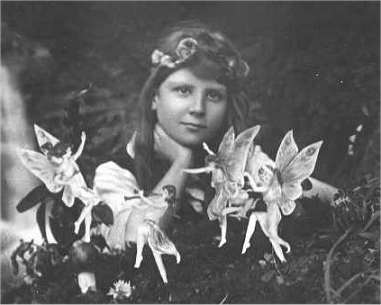 They counted among their fans Arthur Conan Doyle, who, despite chronicling the life of the world's greatest detective, nevertheless believed that two teens could talk to ghosts in Morse code and also that the fairies in this picture were real. Their celebrity led to the emergence of Spiritualism in America, a belief system in which people look to spirits for guidance. Although in later years the sisters would confess that their seances were a hoax and renounce Spiritualism in no uncertain terms, that hasn't stopped people from asking their dead uncles for advice. Remember we said Chicago would pop up again? 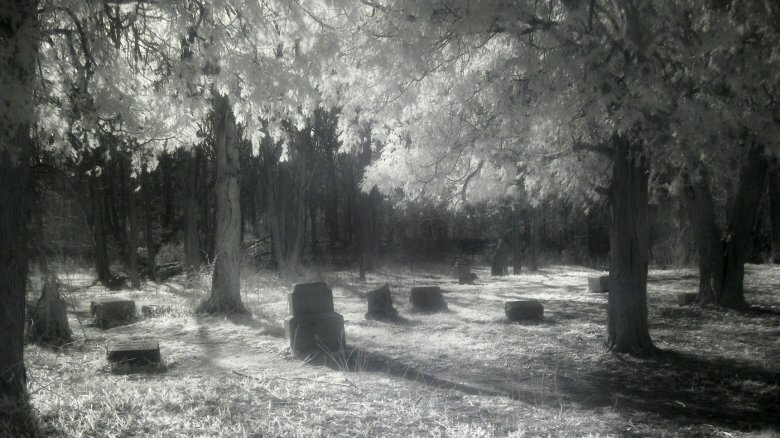 Hey, here it is now, with Bachelor's Grove, an abandoned cemetery that is said to be haunted as heck. A lot of places are known for having one or two ghosts (or maybe a nuclear family of ghosts, like the Lemps), but Bachelor's Grove got ghosts like Jamaica got mangoes. 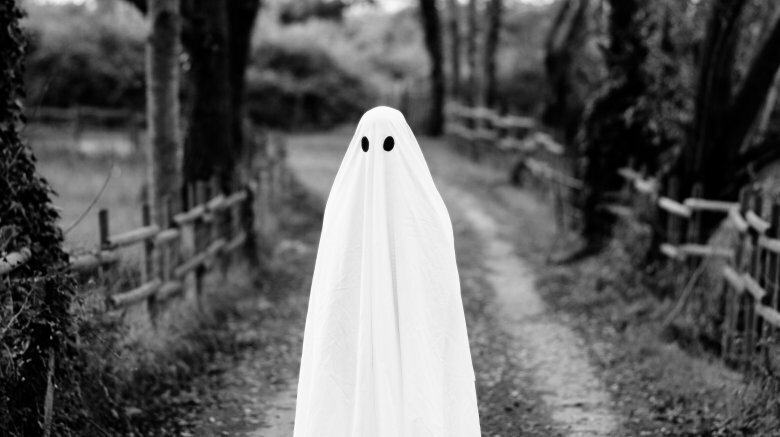 While the most common sightings are of featureless orbs of light or blobs of ectoplasm, many visitors report seeing a spectral farmer and his horse, a vanishing black dog at the cemetery's entrance, eerie figures in monks' robes, and a ghost with two heads. In a unique twist on the haunted house, Bachelor's Grove has a farmhouse that is itself a ghost, appearing and disappearing all willy-nilly. In fact, the cemetery is so overflowing with haints that many visitors report nearly getting run off the road that runs by the cemetery by phantom vehicles. But perhaps the most famous ghost of all in Bachelor's Grove is the so-called "madonna," or "white lady," an immaterial girl dressed in white who's made up her mind, she's gonna keep her baby, even after death. 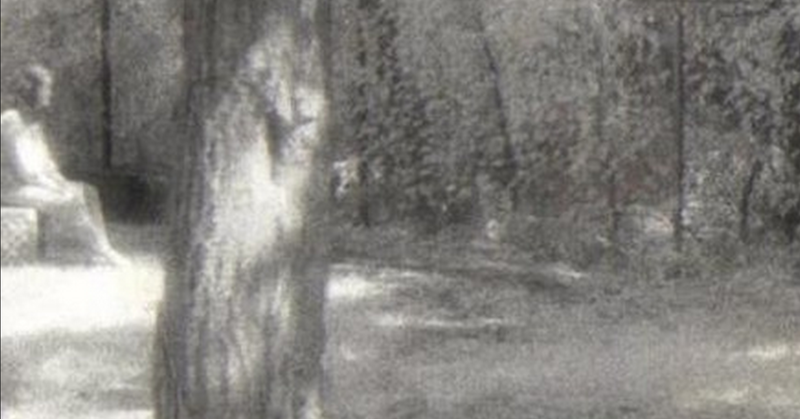 On nights of the full moon, she can be found wandering the graveyard carrying a baby, or apparently sometimes in the full daylight sitting on a tombstone, as in this famous photo by the Ghost Research Society from 1991.